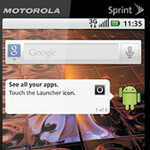 Sprint and Motorola have announced today that a couple of Android handsets are heading the carrier's way. First up is the Motorola XPRT which is a re-branded version of Verizon's DROID Pro. The XPRT has the same 3.1 inch display, physical QWERTY keyboard and 1GHz processor. Android 2.2 is on board. The Motorola XPRT will be priced at $129.99 with a signed 2-year contract when launched on June 5th. Keep in mind that during the past holiday season, Amazon had offered the Motorola DROID Pro for as low as $20. For what it's worth, Verizon is still selling the model for $179.99 on contract. The Motorola Titanium, the successor to the Motorola i1, is a iDEN flavored model that is said to be the first to combine Nextel Direct Connect and Eclair. Is that supposed to be a draw for the device? After all, the similarly rugged Casio G'zOne Commando did launch with Android 2.2 installed. As you might expect, the Titanium is built to MIL-SPEC 810G which means it is impenetrable to dust and won't be harmed by shock, vibration, high and low temperature, and most of the other things that can destroy your smartphone. The Motorola Titanium has a 3.1 inch screen and also has a portrait facing QWERTY keyboard. A 5MP camera is on the back and powering the phone is an 1820mAh battery. Pricing and launch date both have not been announced. so why Eclair? Is Motorola trying to nerf the device on purpose? I thought Sprint claimed to be the #1 service provider or Android devices. I thought they met good Android devices, not junk ones. This is basically the Motorola Clutch i465 except it's running android. Don't believe me look it up. theres no such thing as "good android devices". 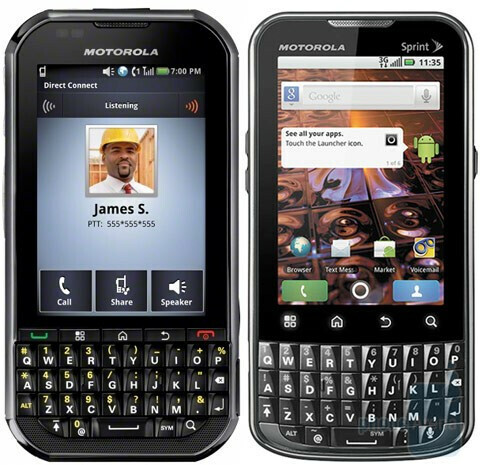 Does anyone know if the Motorola XPRT will be a world phone like the Droid Pro? If sprint is going to kill off iDEN then why get a new phone when iDEN is going away by 2013. Makes no sense to me.